I’ve spent so much money on beauty items in the past and I’m sure most of you have too. In fact, beauty products can be one of the most expensive items out there. When we started removing chemicals from our house, the products used in our bathroom were some of the first ones that we replaced and my scrubs were among the first to go. 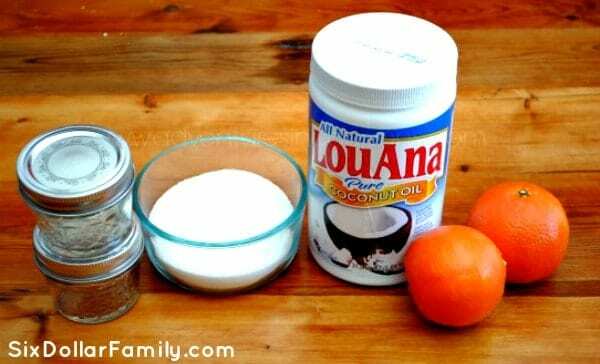 This DIY Orange Sugar Scrub was what replaced them all! Citrus fruits are fantastic for giving you energy which makes them great to use in the morning to help you wake up! I will confess now that I have a serious addiction to bath products. If you could see my bathroom, you’d agree. My shelves and shower are filled with different kinds of scrubs, peels and washes. Honestly I think it’s the scents. I love a good scented smelly good and bath products are usually just that. Luckily though, I’ve learned how to create them at home so that I’m not spending a ton of money on them, but am still able to have the items I want. 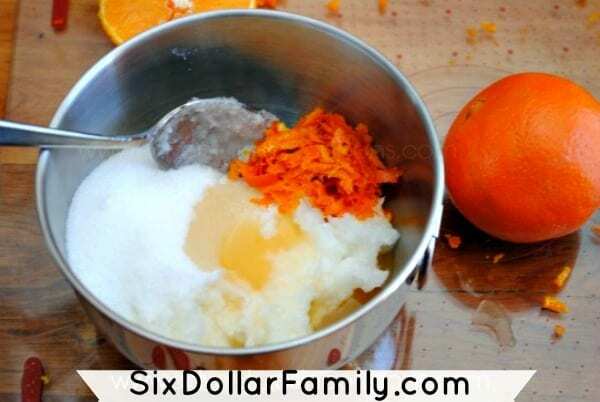 This particular base will actually work with any citrus fruit. 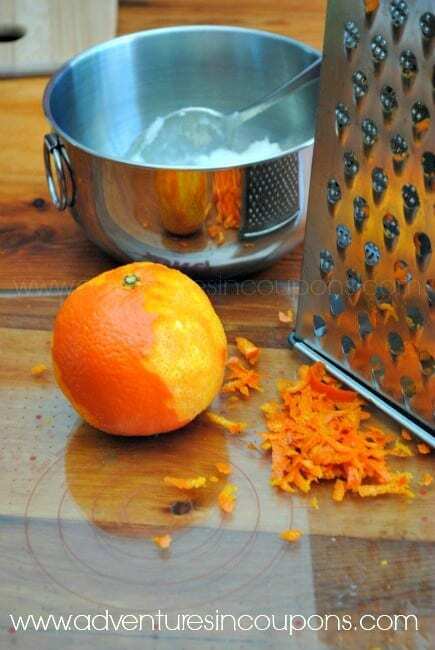 If you’re wanting to make different versions, just swap out the orange for lemon, tangerine, lime or even grapefruit. It will all work the same since they’re all citrus based fruits. I haven’t tried it with others though. This actually makes a really great gift idea too. All you need is a basket and a pretty jar. Make up a few different scents and use a pretty ribbon and gift tag to tie it all together. 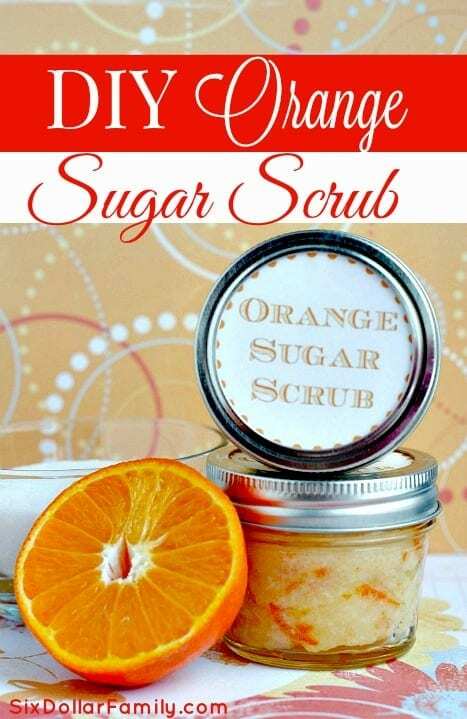 Add the scrub to your 4 oz. 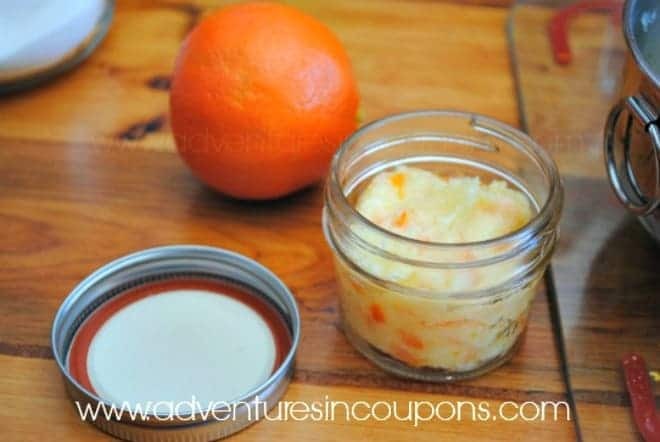 Jelly jars, tighten the lid down and store in a cool, dry place until you’re ready to use! Looking for more natural beauty products? You might like these! How do you use this? Scrub on skin and then wash off? Yes Ali. Just scrub on then rinse cleanly. Pat dry. Awesome recipe thanks! You suggest refrigeration for the Raspberry scrub, do I need to do the same with this? I do just to be safe Kelly. Love the recipe! How long does this last? I see it should be refrigerated but how long before the fresh oranges start to turn?